Solvent transfer and fabric collage to paper, 30 x 22.625 in. Silkscreen on cotton apron, 35 x 39 in. Solvent transfer on handmade rice paper, 11.125 X 8.5 in. Solvent transfer on paper, 11 x 10 in. Acrylic on paper, 11.75 X 16.8125 in. Untitled (Christmas Drawing), 1994. 94.D025. Inkjet dye transfer on paper, 23.75 x 16 in. Inkjet pigment transfer on polylaminate, 61 x 73.5 x 2 in. Study for Chinese Summerhall (Green Mud), 1983. 83.E014.00/30.12. Chromogenic print, ed. 30, 40 x 30 in. Study for Chinese Summerhall (Pink Flower Sheet), 1983. 83.E015.00/30.10. 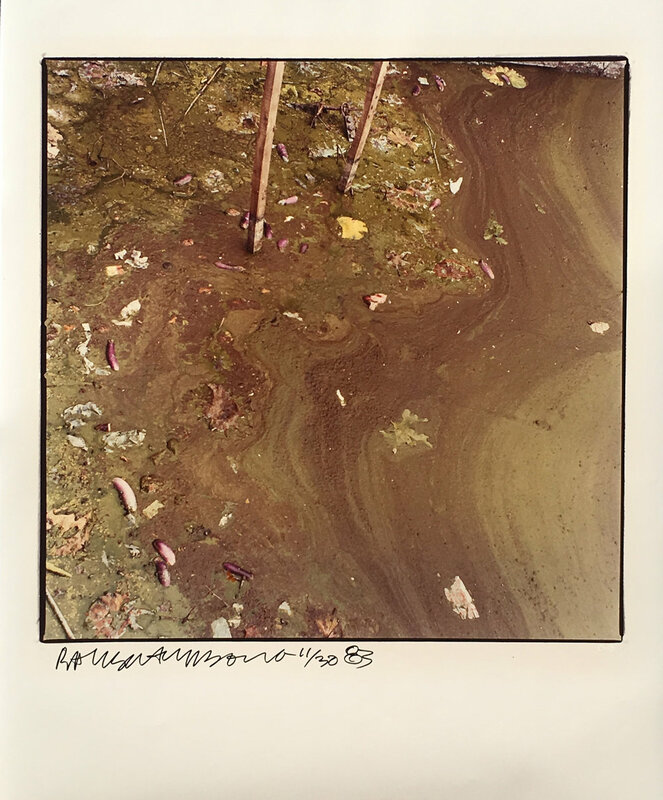 Chromogenic print, ed. 30, 24 x 20 in. 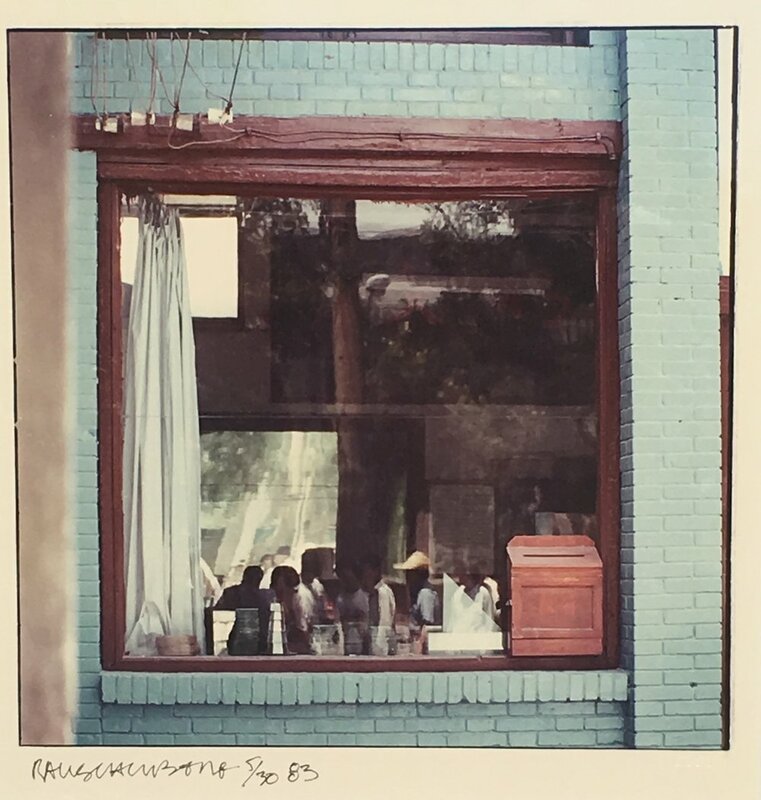 Study for Chinese Summerhall (Blue Window), 1983. 83.E015.00/30.07. Blue Door Lift (Pam's Cruise) (Runt), 2007. 207.040. ROCI Announcement Print, 1984. 84.E029. Lithograph, 25.75 x 23 in. Restoration (print for Edison College Foundation benefit), 2004. 204.E001. Offset lithography, 23.25 x 31.75 in. Horse Silk (Deluxe Edition) Aperture Cover - Print, 1993. 93.E006. Offset lithograph, ed. 8/100. 28.5 x 20.125 in. Room Service Catfish Tails, 2000. 200.E015. Offset lithograph, ed. 83/100, 30 x 24 in. Screenprint on ten Plexiglas sheets in Lucite base, with stainless-steel cover, ed. 80/200, 21 x 23 x 7 in. Features (from Currents) 75, 1970. 70.E059. Screenprint, ed. 28/50, 40 x 40 in. Intaglio in two colors with photogravure, ed. 18/46, 29.5 x 38.875 in. ntaglio in three colors with photogravure ed. 18/46, 39.25 x 27.5 in. Eagle – Eye (Ruminations), 1999. 99.E010. Intaglio in five colors with etching, ed. 18/46, 49.75 x 38 in. Intaglio, ed. 18/46, 30.5 x 45.75 in. Big and Little Bullys (Ruminations), 1999. 99.E012. ntaglio in five colors with etching, ed. 18/46, 45 x 57 in. Intaglio in four colors with lithography and etching, ed. 18/46, 26.75 x 31.25 in. 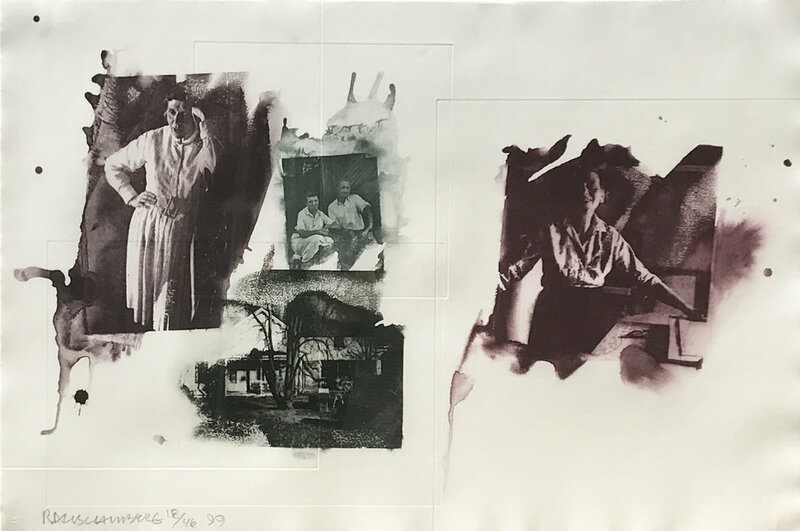 Intaglio in four colors with photogravure, ed. 18/46, 28 x 41.75 in. Bubba’s Sister (Ruminations), 2000. 200.E030. Intaglio in three colors with photogravure, ed. 18/46, 23 x 31.5 in. 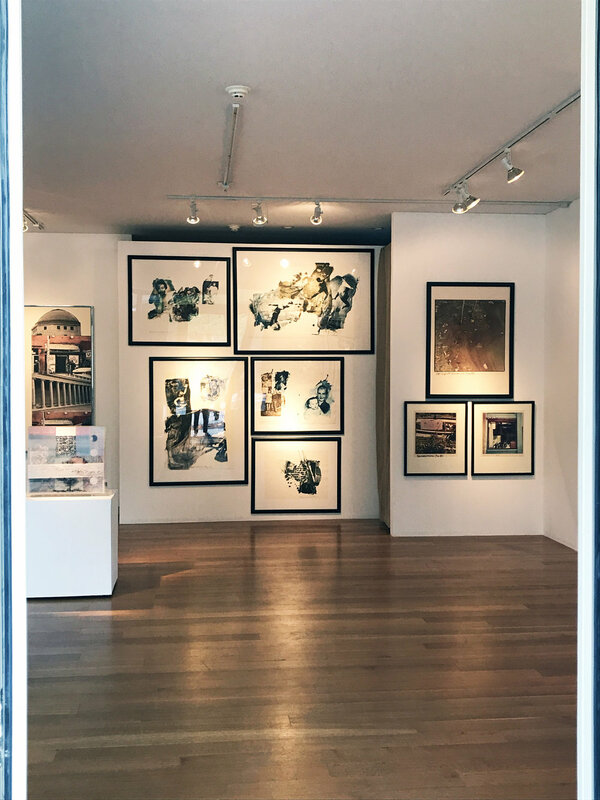 Eckert Fine Art is pleased to present Robert Rauschenberg – Anaglyphic Anecdotes, an extensive solo presentation of original and edition works. The opening will be held from 4-7pm on Saturday, July 29 at 12 Old Barn Road in Kent, Connecticut. 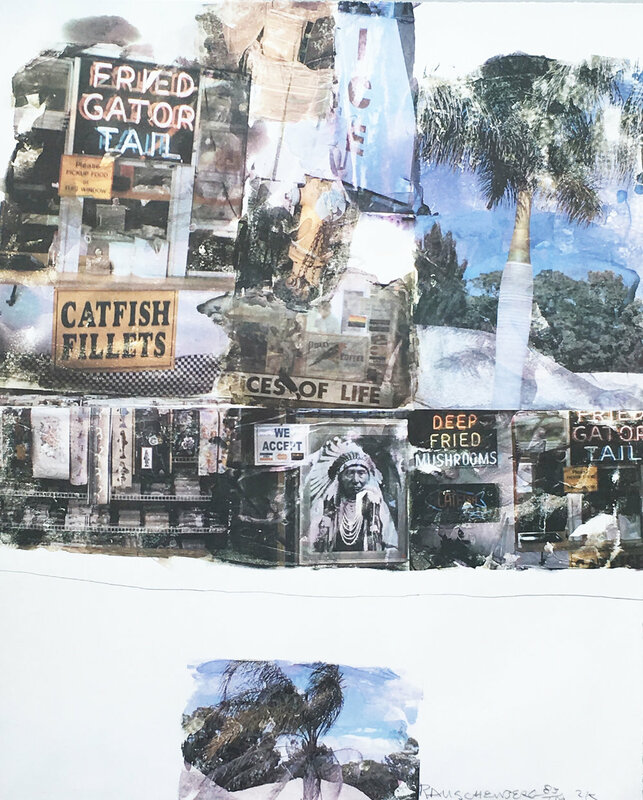 A special guest talk with long time Rauschenberg Captiva Studio assistant and digital archivist Jonas Stirner will be held on August 12th, from 3-4:30pm, RSVP required. 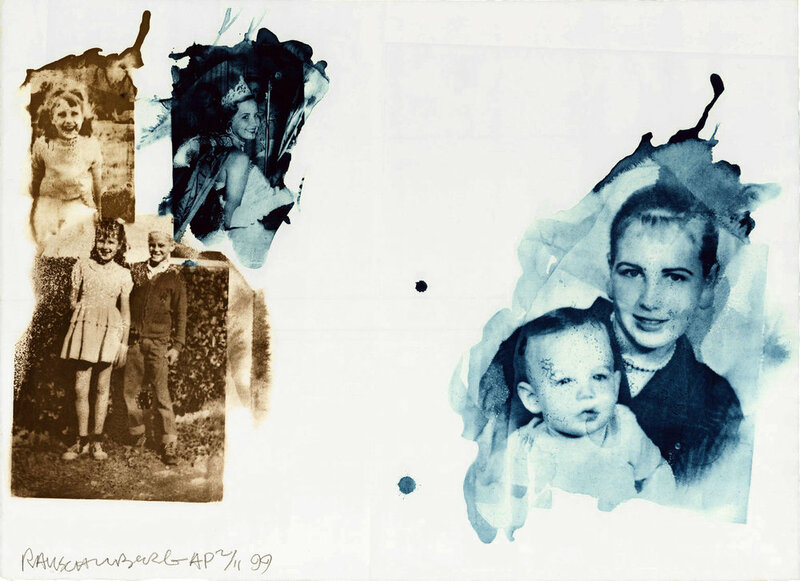 Featuring upwards of 30 pieces, this exhibition looks at the photo transfer technique as Rauschenberg developed it from works on fabric in the mid-1970s to his final body of work on polylaminate panels, The Runts, which he produced from 2006 until his death in May of 2008. 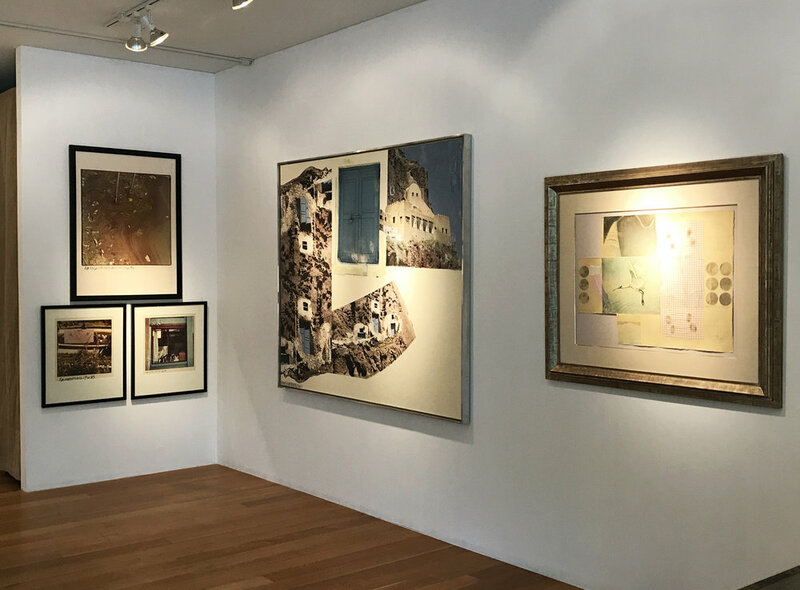 Numerous series from this time period will be present, including a rare full set of 1999’s Ruminations print collection, which Rauschenberg created to honor his family and close friends. 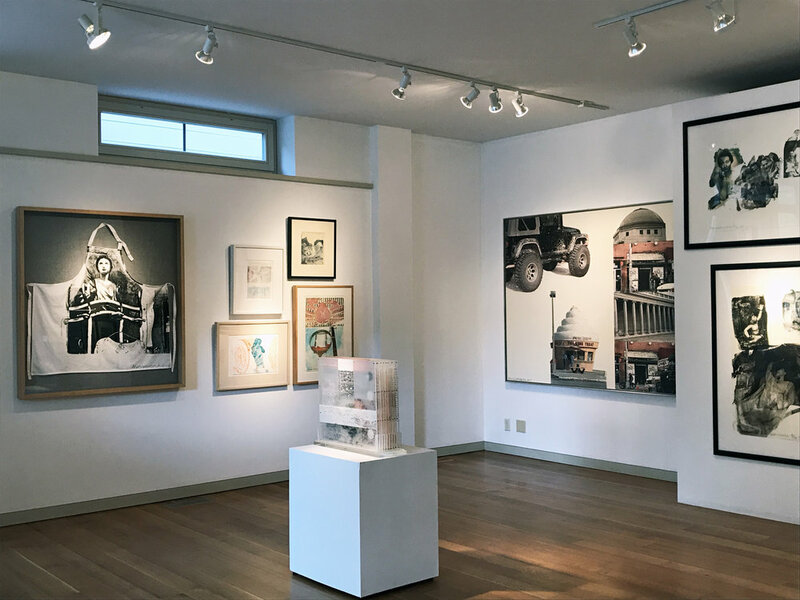 This exhibition is made possible by Eckert Fine Art’s lasting client relationships, which over the years, have helped nurture and fortify the gallery’s first-hand relationship with the artist. 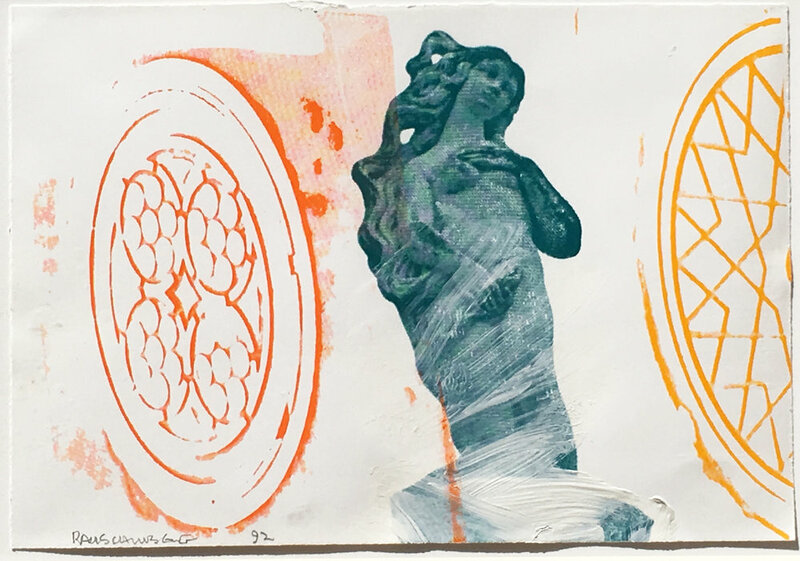 While running a modern and contemporary gallery in Naples, Florida that began in the mid 1990s, Jane Eckert was introduced to Robert Rauschenberg. The pair developed a trusting and rewarding friendship, and in turn, a business relationship that enabled clients of the gallery to begin acquiring works on the primary market, directly sourced from Rauschenberg’s Captiva Island studio. It is these past clients who have come forth to provide content to this ambitious exhibition, which goes beyond commercial studio works to feature personal art gestures and gifts from the artist to those in his immediate social and familial circle. Thus, the title of this exhibition: Anaglyphic Anecdotes. “Anaglyphic”- a poetic and aesthetic descriptor referencing the stereoscopic effect of his multi-colored photo transfers – which compliments the root and essence of the show, the “Anecdotes”. It is this anecdotal nature of Rauschenberg’s practice that the gallery seeks to highlight. 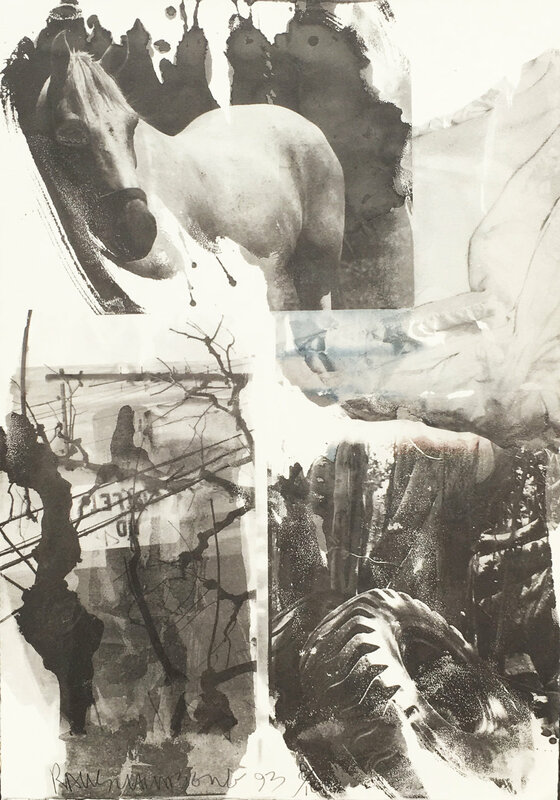 It is unlikely that an encounter with Robert Rauschenberg on any level would fail to elicit a vivid story to be told again and again, as it was his nature to function as a nexus for societal and cultural interchange. He had a reputation for imbuing his personal interactions with a high degree of curiosity and energy. The gallery will share the spirit of these interactions through personal accounts between the artist and Jane Eckert, Rauschenberg studio assistant Jonas Stirner, gallery director Kevin Van Gorp, and gallery artist Eric Forstmann during a public talk to be held on the evening of August 12th. The aim is to help continue Rauschenberg’s vision of what it means to be an artist so that the invaluable insight may live on. Robert Rauschenberg is one of the most important American artists of the 20thcentury. He thoroughly mastered numerous artistic approaches to art making, including painting, sculpture, prints, collaborative and solo performance, papermaking, and photography. Photography was the foundation of the vast majority of his two and three-dimensional works in the latter half of his career. He captured the world from nearly every perspective with his camera, and the imagery served as the source material for the vast amounts of screen-printing and photo transfer found in his art. With a career that spanned over six decades, Rauschenberg’s work provides his audience not only with a visual feast, but with an artistic cultural record of itself. He felt that one of the most important missions for an artist is to record their place in time as they see it, and he did this himself through rigorous use of imagery culled from popular culture, urban and natural settings, domestic and foreign lands, and moments of human nature, while always aiming to convey socio-economic information as it occurred. 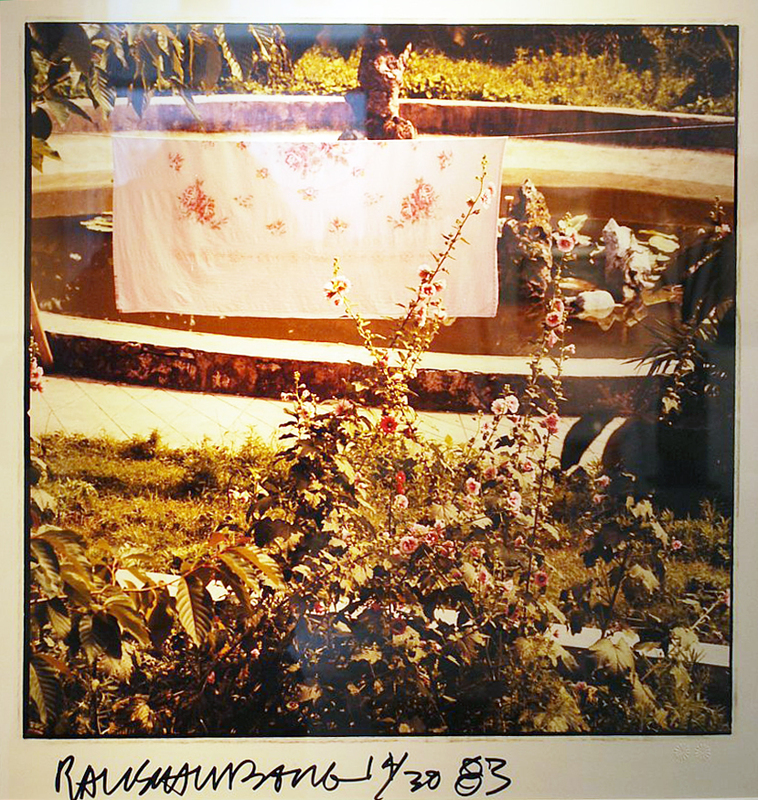 In short, Robert Rauschenberg was born in 1925 in Port Arthur, Texas. He lived and worked in New York City and Captiva Island, Florida where he died on May 12, 2008. In 1964, he became the first American artist to win the Grand Prize at the Venice Biennale. He was also awarded the National Medal of Arts in 1993 and was the recipient of the Leonardo da Vinci World Award of Arts in 1995. 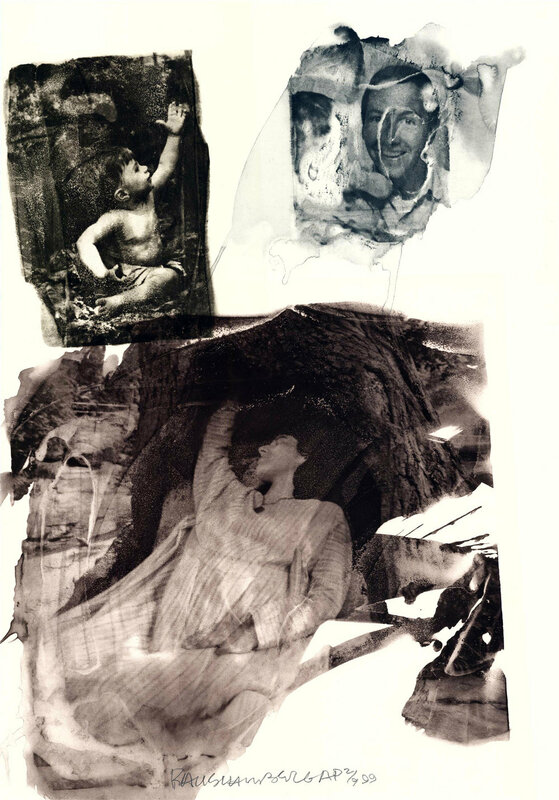 Numerous international venues have hosted period and retrospective exhibitions, including the Jewish Museum, New York, the Smithsonian American Art Museum (formerly the National Collection of Fine Arts), the Solomon R. Guggenheim Museum, the Metropolitan Museum of Art, MoCA Los Angeles, Centre Georges Pompidou, and most recently the current Museum of Modern Art retrospective Robert Rauschenberg: Among Friends.